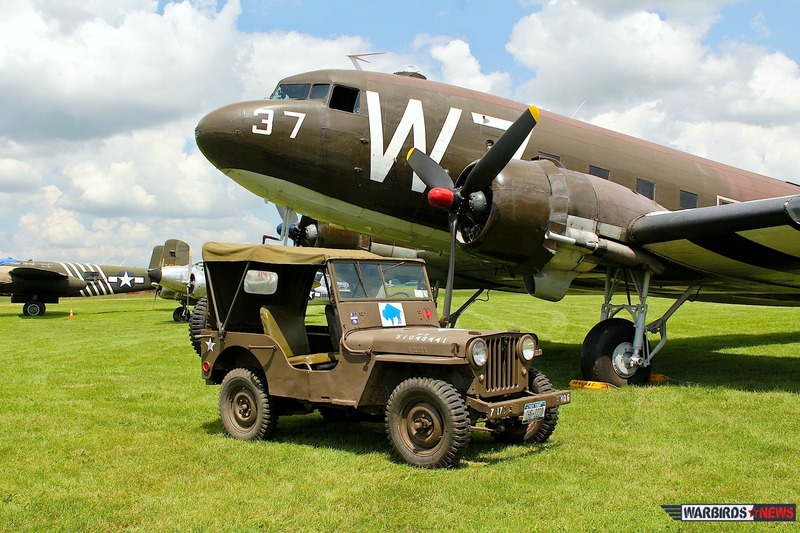 A small fleet of C-47s gathered in Britain and France over the past few weeks to celebrate the 70th anniversary of the D-Day Landings today on June 6th, 2014. The aircraft flew in from several different countries with a number flying all the way from the USA. 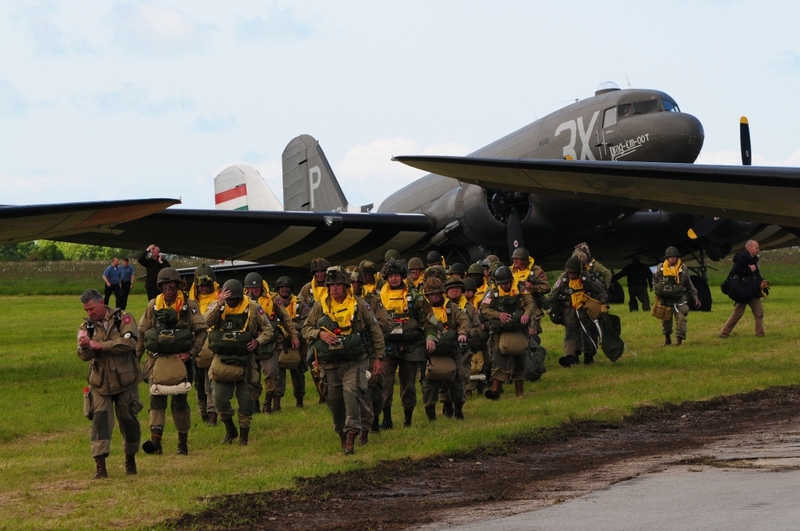 Since many of the Dakotas/C-47’s dropped troops over Normandy on the night of June 5th/6th, a few hours before the seaborne and glider invasion struck the French coast, several parachute demonstrations already took place yesterday; dropping re-enactors and serving military members over the old landing zones. Many of the last survivors from that day 70 years ago were in attendance, including at least two who chose to take part in the jumps! 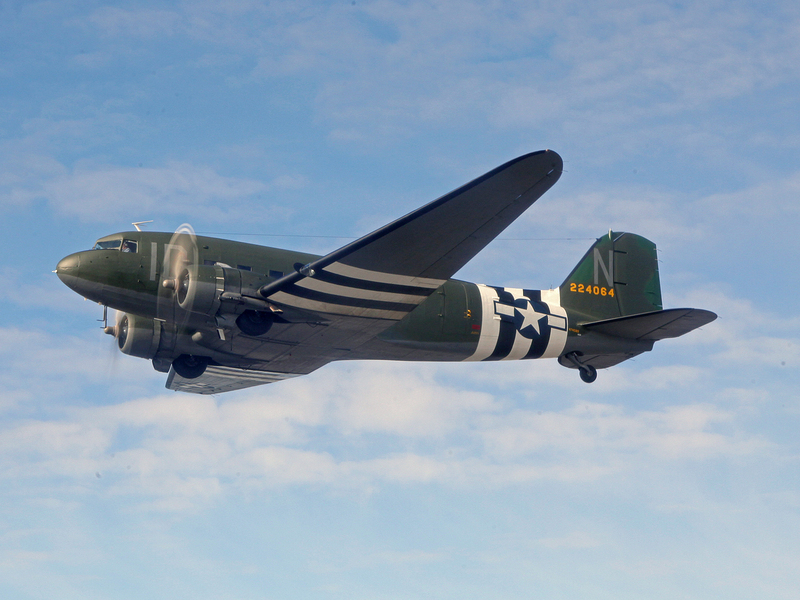 Several of the C-47’s which are attending the memorial actually took part in the D-Day invasion. One of these, marked with the fuselage code “W7”, or “Whiskey 7” as everyone refers to her, belongs to the National Warplane Museum in Geneseo, New York. 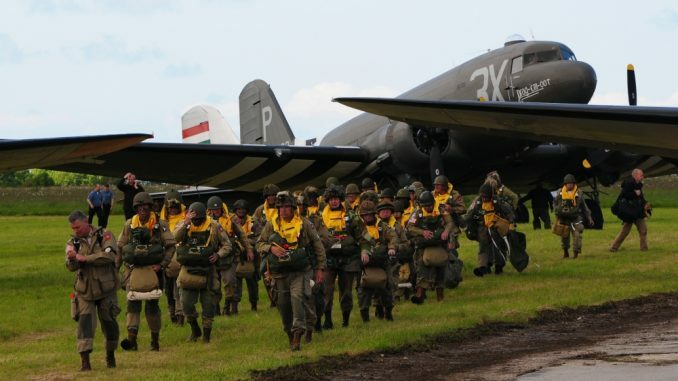 She flew over just for the events this week, and amazingly one of her WWII 82nd Airborne paratroopers, Leslie Cruise, and her original pilot Julian “Bud” Rice were aboard for one of the flights over the original drop zone near St.Mere Eglise, France. Rice even got to fly “Whiskey 7” for a bit. Tom Brokaw interviewed Rice last night, and here is the video for those who might be interested. 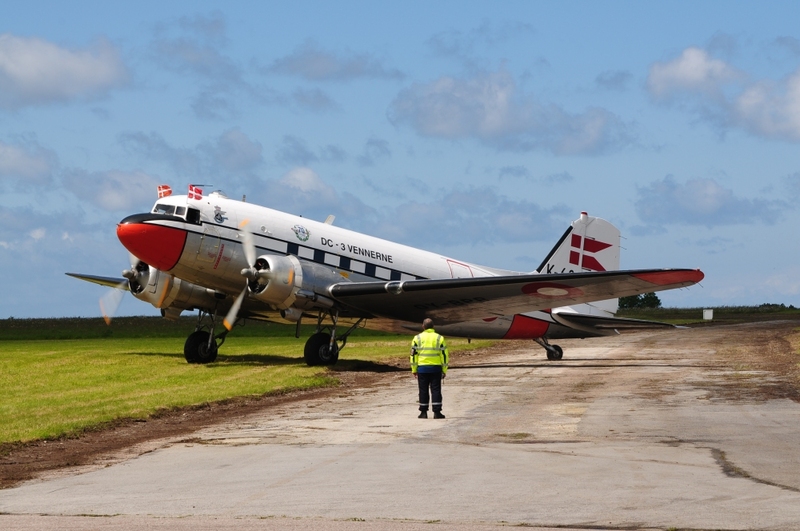 We reported earlier HERE on another C-47 which flew over from the USA, known as “Union Jack Dak” because of her British restoration crew. 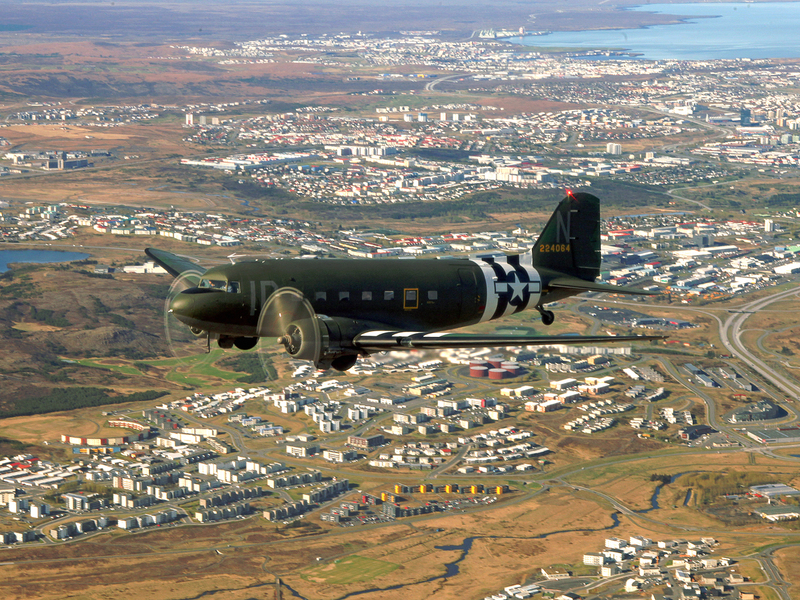 We received a couple of beautiful air-to-air photographs of her from Icelandic photographer Baldur Sveinsson as she circled over Reykjavik during the journey to France. We will be presenting more details on the anniversary events of course, but thought these photographs were too good not to share tonight. Many thanks indeed for sharing your beautiful work Baldur!!! I just picked up the book ‘Valor Without Arms’ as my great uncle Harold C. Gondolfe was mentioned in it (he was a radio operator/glider cutter on c47). I found that on D-Day Bud Rice was his pilot in this plane, what a small world!